DEEP WATERFRONT! STUNNING FOUR BEDROOM, BEAUTIFULLY UPDATED BRICK RANCH WITH GORGEOUS PANORAMIC VIEWS OF RUDEE INLET. INVITING SALT WATER POOL, BOAT DOCK AND BOAT LIFT WITH EASY, QUICK ACCESS TO THE ATLANTIC OCEAN. WONDERFUL OPEN FLOOR PLAN OFFERING VAULTED CEILINGS, SPACIOUS GOURMET CHEFS KITCHEN, TWO DINING AREAS, OFFICE/LIBRARY AND A PLUSH FIRST FLOOR MASTER SUITE. FABULOUS OUTDOOR LIVING SPACES WITH PATIOS AND BEAUTIFUL PROFESSIONALLY LANDSCAPED YARD. MOVE RIGHT IN TO THIS IMMACULATE HOME! Ready to visit 520 Fishermans? Request a free property tour! 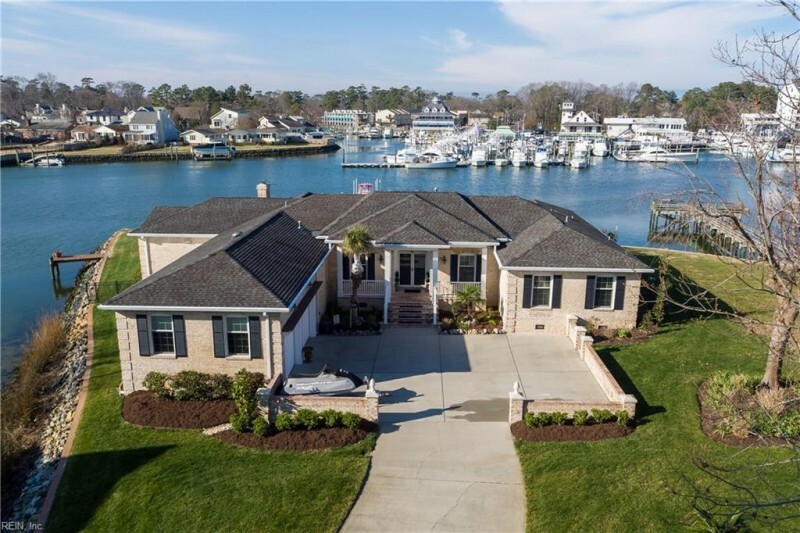 Send me more information about the listing at 520 Fishermans, Virginia Beach, VA 23451, MLS# 10239952. This 4 bedroom, 3 bathroom home located at 520 Fishermans, Virginia Beach, VA 23451 has approximately 3,846 square feet. It is currently listed for $1,497,777 and has a price per sqft of $38,944. This home is currently Active under the MLS#: 10239952. This listing is provided by BHHS Towne Realty. 520 Fishermans Bend, Virginia Beach was built in 1972. It has Garage Att 2 Car, Driveway Spc parking.The kitchen includes Dishwasher, Disposal, Dryer Hookup, Gas Range, Washer Hookup. 520 Fishermans is part of the Harbour Point neighborhood located in 23451.